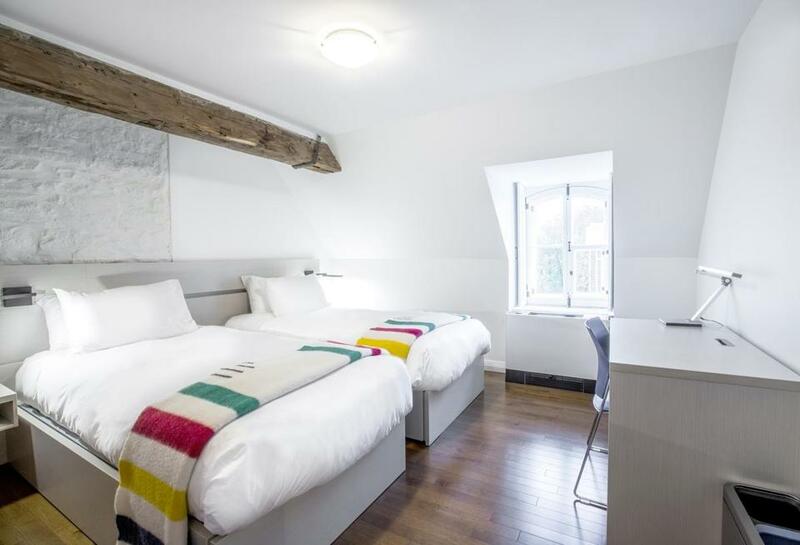 Contemporary rooms at Le Monastere des Augustines are sparse and modern. The museum has more than 1,000 artifacts. Walk into the recently opened Le Monastere des Augustines, through a connecting entry of glass and steel grid, and you’ll sense immediately that you’re in a unique space. What will strike you most is its tranquillity, which causes you to immediately slow your step, take a deep breath, and relax. The property, housed in the wings of an ancient cloister dating to the 17th century, is a true oasis in the heart of the city — part hotel, part museum, and part retreat. Totally renovated, the historic property was once home to the Augustinian Sisters, who arrived here in 1639 to open the Hotel-Dieu de Quebec, the first hospital on the continent north of Mexico. The cloistered sisters were dedicated to healing the body and the soul, and helped lay the foundation for modern medicine. Honoring this heritage is at the very heart of Le Monastere des Augustines, which includes hotel rooms, restaurant, boutique, museum, choir and chapel, courtyards and gardens, holistic treatments and activities, and an archive and reserve housing some 40,000 artifacts drawn from the Augustinian Sisters’ 12 monastery hospitals. The property is housed in the wings of an ancient cloister dating to the 17th century. After settling in, take a guided tour to learn more about the history of the Augustinian Sisters and their way of life while living in the monastery. 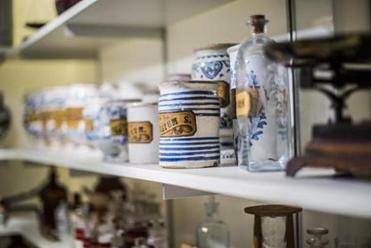 The museum contains more than 1,000 artifacts from the collection, including early medical instruments, clothing, and old photographs. You’ll visit the parlor where nuns were allowed to speak to visitors through a grid and the dining room where they ate their meals in silence. The hotel offers a silent Vitality breakfast to honor the tradition. It sounded a bit too New Age-y to us at first, but turned out to be a wonderful, relaxing start to the day. The bright and airy dining room serves breakfast, lunch, and dinner, showcasing fresh-from-the-garden, healthy cuisine. It’s not just grains and sprouts: Diners have a choice of meat, fish, or a vegetarian option at lunch and dinner, along with an extensive salad buffet. 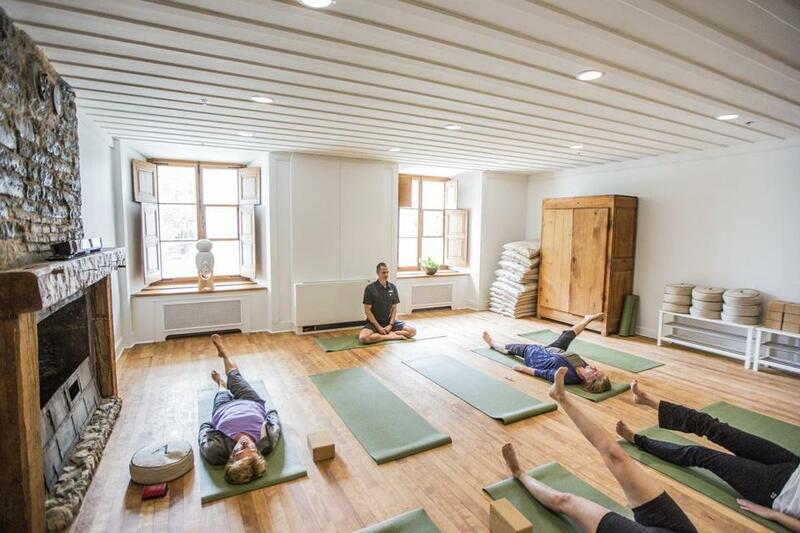 Those seeking a more inclusive retreat can take advantage of a variety of daily classes, like meditation, yoga, pilates, and more. There are also workshops and activities like knitting, painting, or scrapbooking, and wellness treatments, including massages and reflexology. 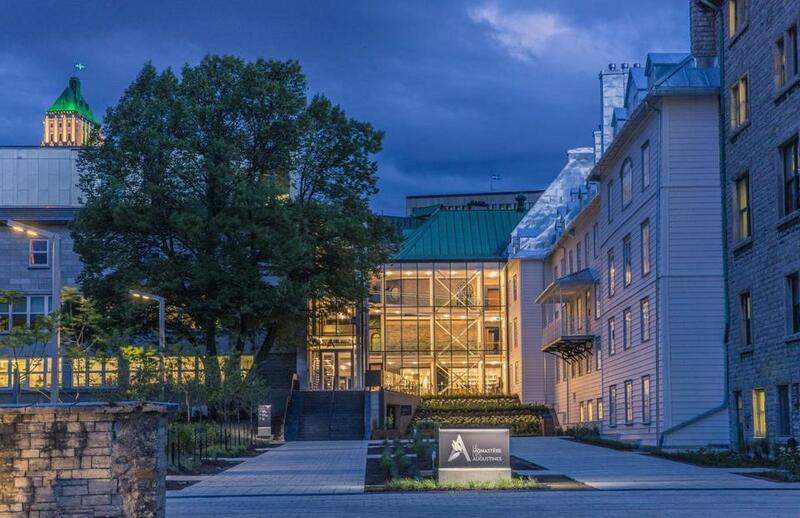 You could stay within the protective walls of Le Monastere des Augustines, much like the cloistered sisters once did, but the sights and sounds of Old Quebec are at your doorstep. Go explore, then return to this calm, contemplative oasis to renew for the next day’s journey. Yoga, meditation, and other classes are offered. LE MONASTERE DES AUGUSTINES, 77 rue des Remparts, Quebec City, 844-694-1639, www.monastere.ca/en. Rates start around $150 for a double room.